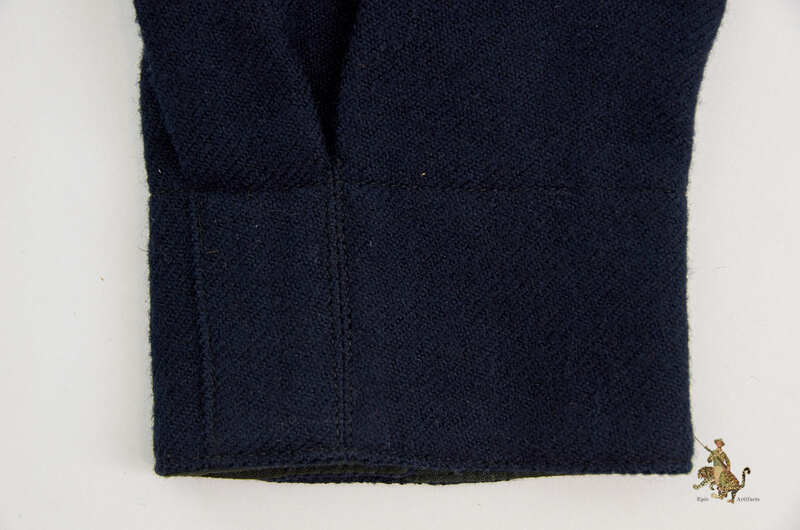 Product Description: This is a very attractive and clean example of a rare DJ winter pattern shirt. 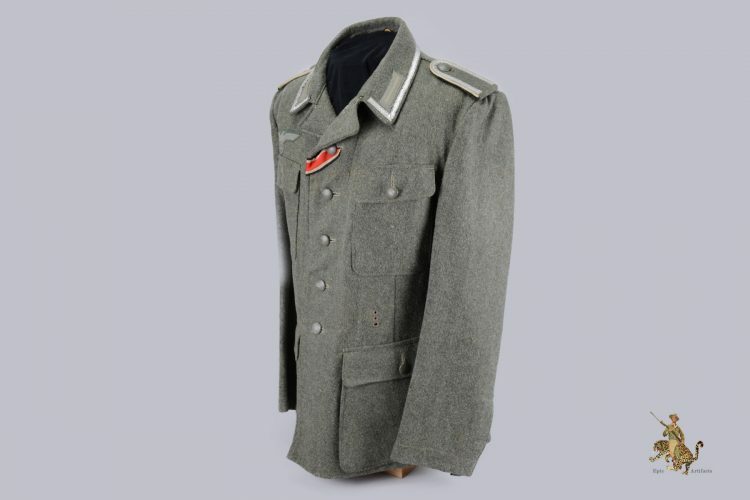 This was the winter uniform worn by boys of the Deutsche Jungvolk. 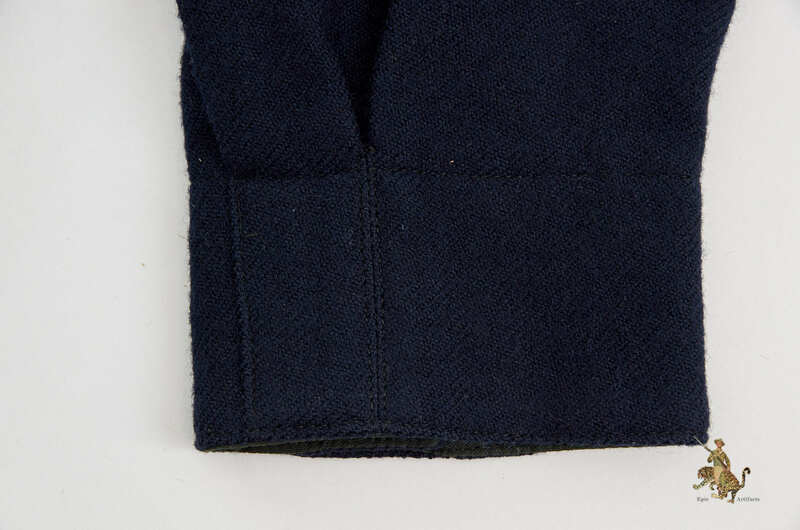 It’s made of blue wool, with a twill weave. 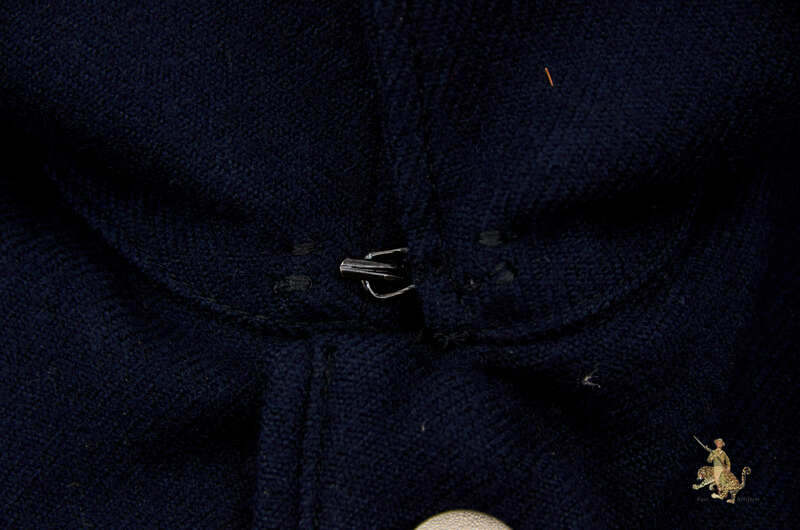 There are no tears or stains, no moth holes or other damage; this is nearly pristine. 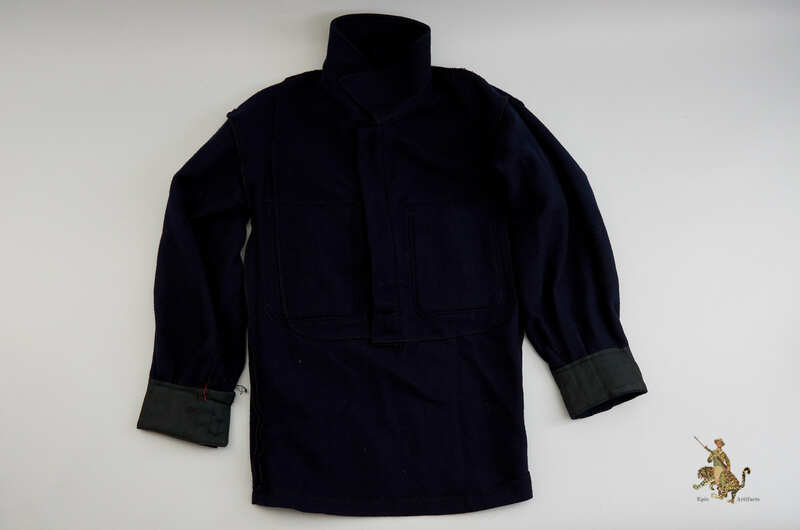 The front of this DJ winter pattern shirt closes with 4 silver pebbled buttons, maker marked for the firm of F. W. Assmann. This shirt is complete with original applied DJ insignia. The Gau district triangle is for “Süd Baden” and is a typical machine embroidered example, in black and golden yellow rayon. Below this is the DJ “Sigrune” emblem, a high-quality “deluxe” version with a very neatly hand-embroidered white rune applied to a red backing fabric. 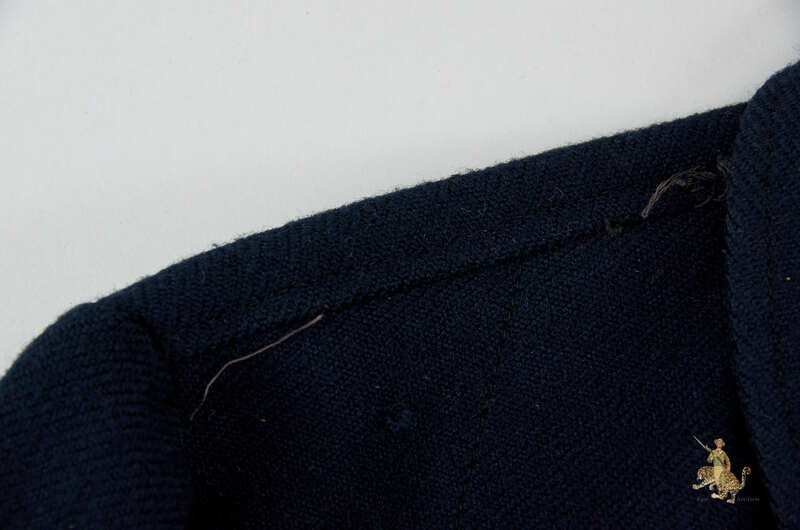 Both of these patches are very neatly hand sewn to the sleeve, and there is no doubt this is an original application. 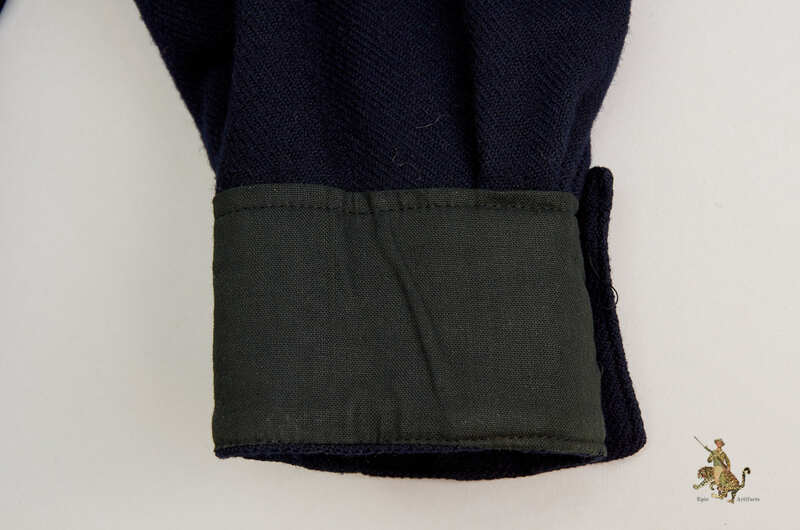 The opposite sleeve has a rank patch indicating the rank of DJ-Oberhordenführer. 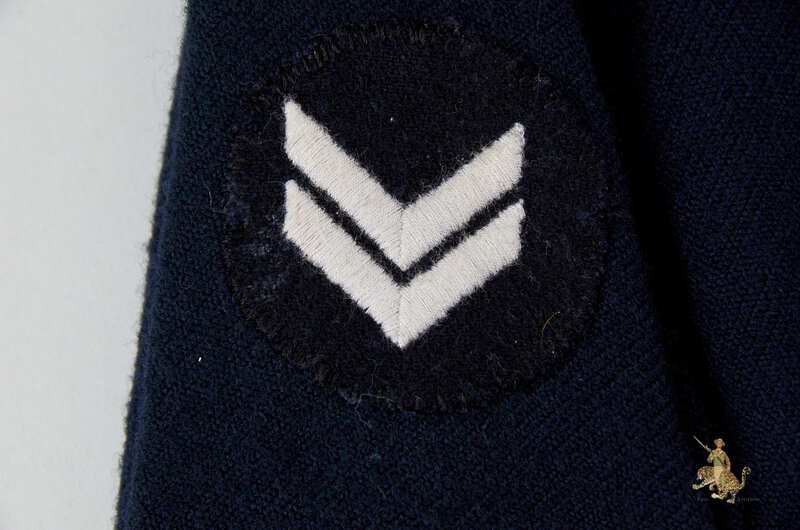 This rank patch is constructed of navy blue wool, with two rank chevrons machine embroidered in silver-gray thread. 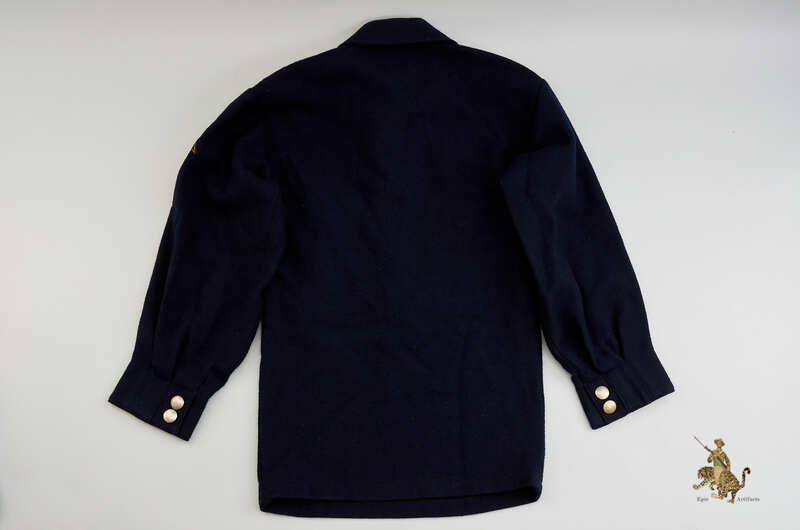 There is an indication that this DJ winter pattern shirt was set up for a shoulder board at one time which you can see by the remnants of tread for the board. 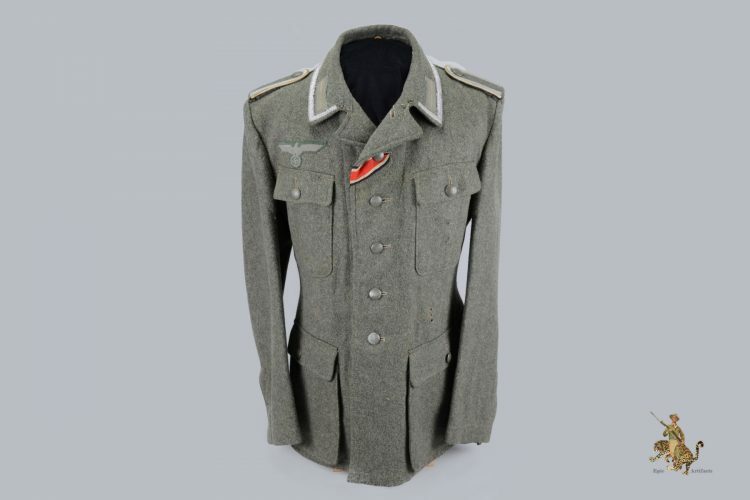 This is an impressive and scarce piece of uniform for the youngest branch of the Hitler Youth. It displays great! 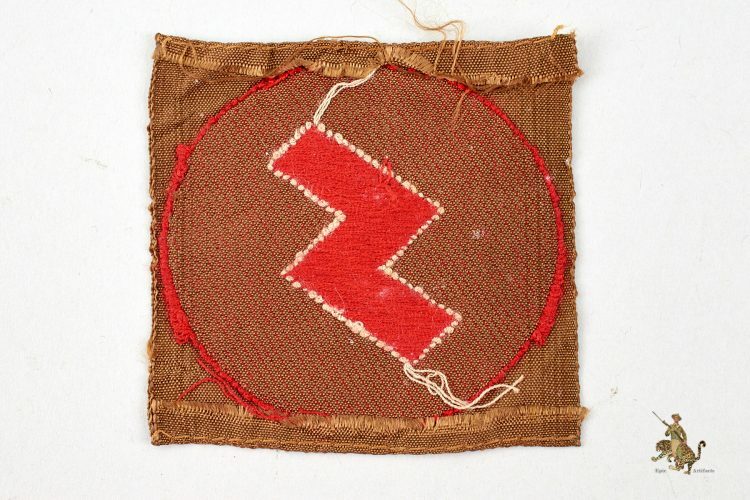 Historical Description: The first Nazi youth organization was created in Germany in 1922. 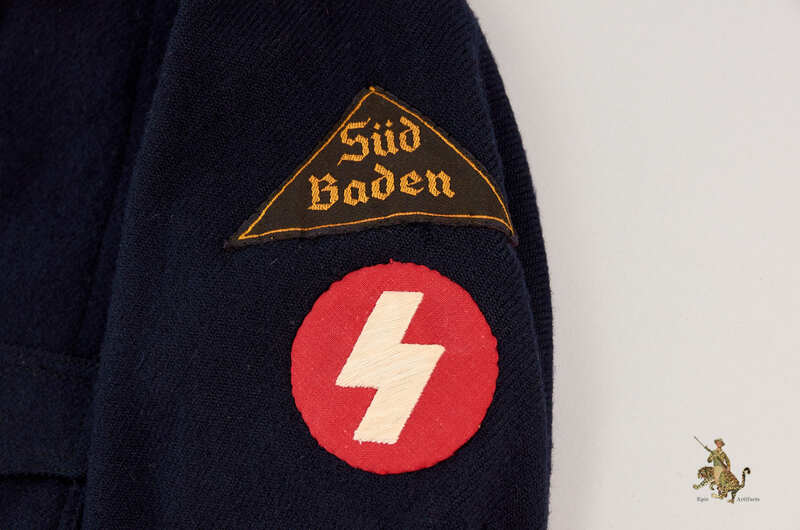 In 1926, this organization took on the name “Hitlerjugend” (Hitler Youth) and by 1930, it had over 25,000 members. From 1933 to 1945, the Hitler Youth was the only official youth organization in Germany. 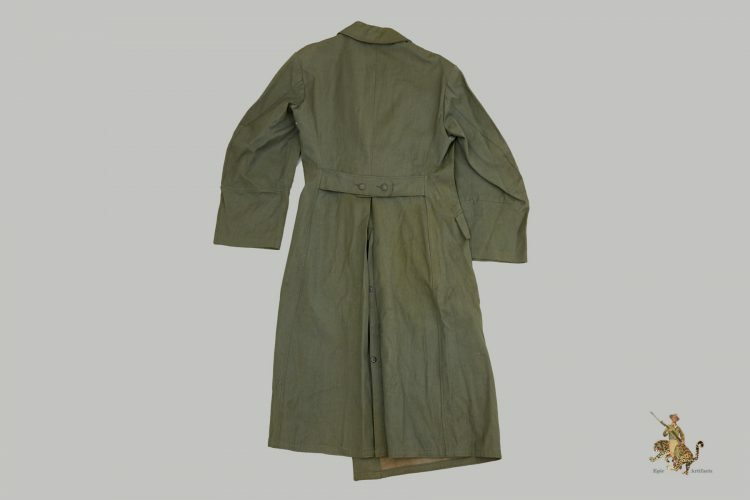 The Hitler Youth was for boys aged 14 to 18, and also included the “Deutsche Jungvolk” for boys aged 10 to 14, and the “Bund deutsche Mädel” for German girls. This was primarily a paramilitary organization. 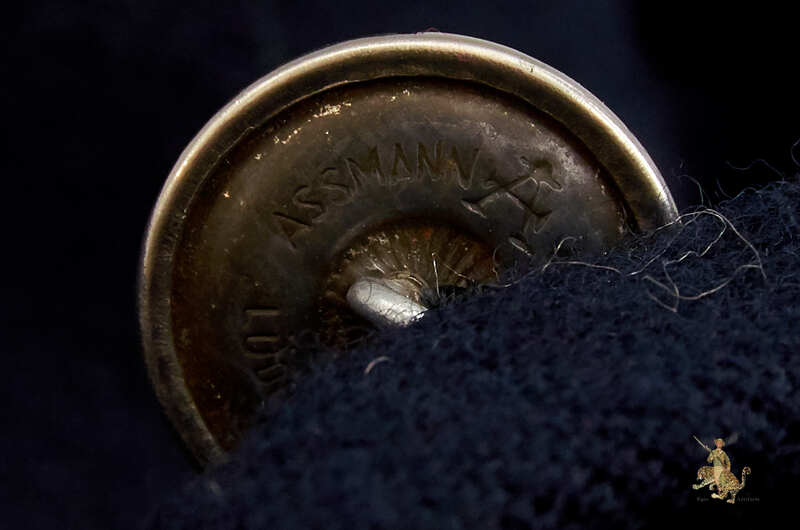 Members learned military skills such as drill and marching, and were arranged in units with a command structure similar to that of the military. 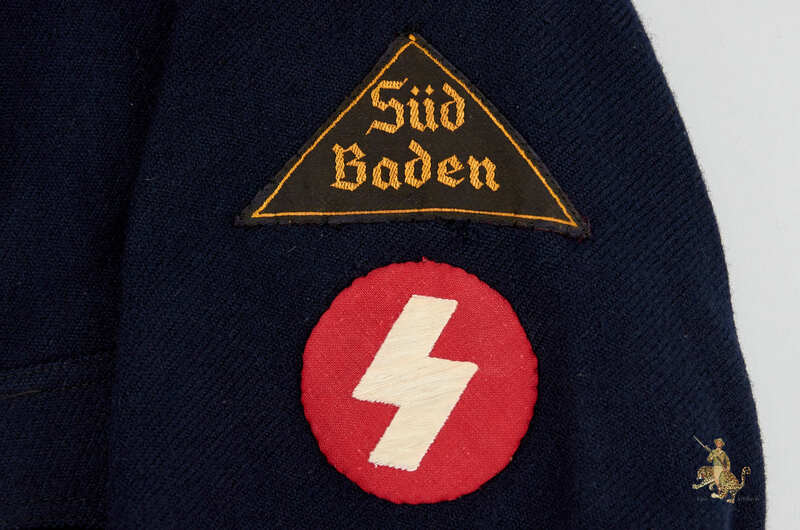 These units were subject to political lectures and other types of indoctrination using Nazi propaganda. 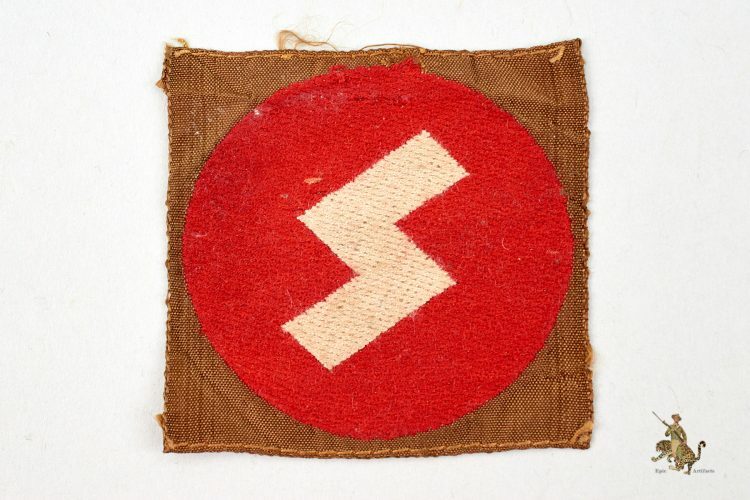 By December of 1936, the Hitlerjugend had over 5 million members. 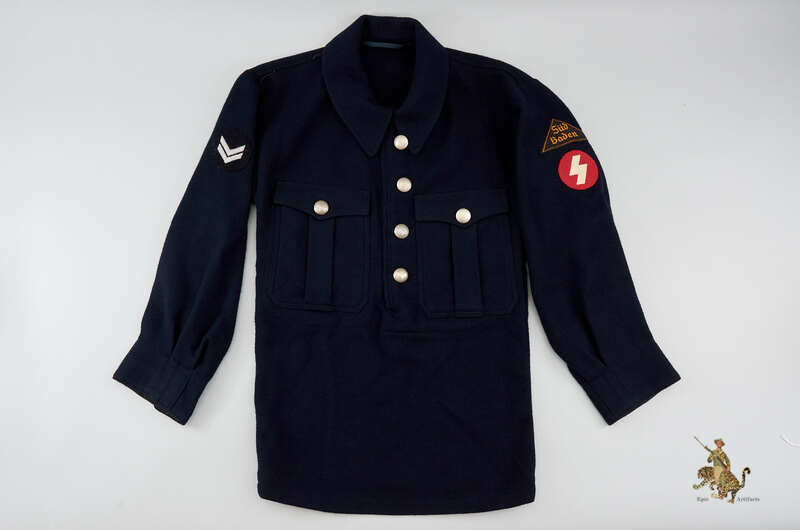 During WWII, The Hitler Youth assisted the German postal service and the Reich national railways, among other tasks. 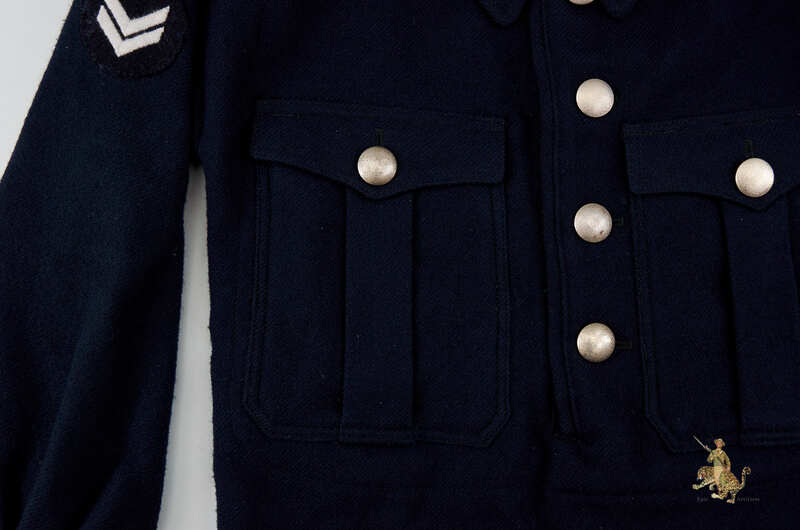 By the end of the war, Hitler Youth members were being deployed in combat as anti-aircraft gunners attached as auxiliaries to the Luftwaffe, and as members of the Volkssturm militia units. 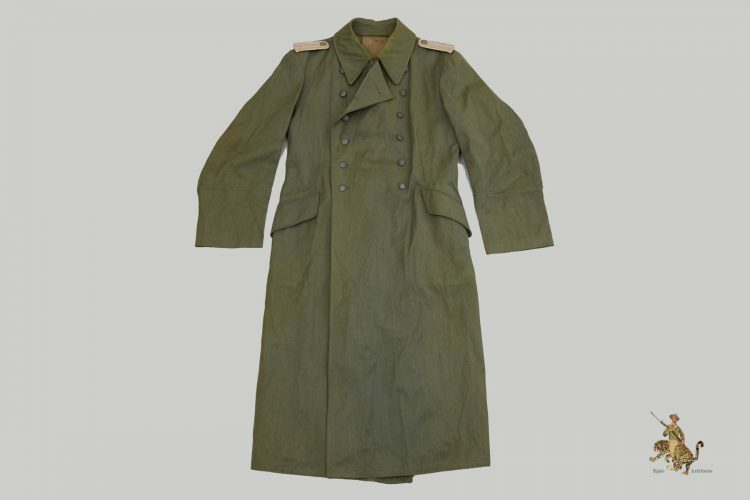 Hitler Youth personnel had a wide variety of uniforms and headgear, including tan summer uniforms, wool winter uniforms, and specialized clothing for sports competitions or special units. 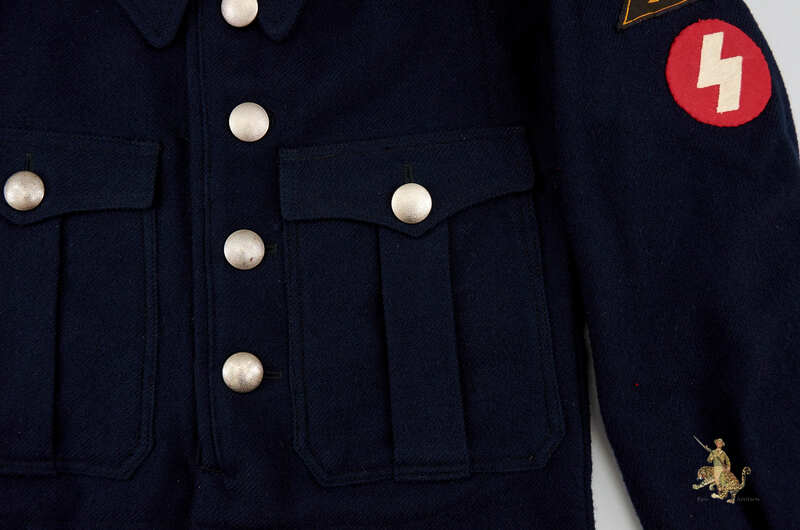 These uniforms were worn with a wide variety of different insignia which designated specific functions and units. Headgear ranged from simple field caps and ski caps, to specialized equipment. Hitler Youth members were also eligible to earn a range of awards. At the end of the war, the Hitlerjugend was disbanded, and later banned by the German criminal code.